Thorpe is not the only one. Professionals and entrepreneurs often express their own doubts about how they think they sound versus how they think they should sound. For example, business professionals want to eliminate vocal qualities considered undesirable, such as flat, tired, uninterested, country, unconfident, brash, and reserved. They want to develop vocal qualities they perceive to be desirable, such as confident, clear, professional, assured, knowledgeable, credible, empathetic, commanding, and unwavering. A key point to remember is: each situation in a business professional’s day may command a variation in speech or vocal style. With speech and voice coaching, clients learn to craft their voices to be effective for the situation. One can fine-tune his or her voice through proven techniques to project what message he or she wants to convey. Adopting ‘the preferred voice’ for the situation is a key factor for success in dealings with office staff, building client relationships, sales, negotiation, and persuasion. Professional performers are a perfect example. When on stage, on set or in the studio, they use vocal techniques to ensure their voices are at their peak. When not on set, many performers employ professional speech and vocal trainers and practice, practice, practice to fine-tune their speech and voice for their roles. They also rest their voices. Their speech and voice with family and friends is relaxed. They save their professional voice for the stage. The point is: it’s situational. We craft our voices to be the most effective for every situation, and every situation is different. After speech coaching, David Thorpe gained the ability to adopt varied styles of speech delivery. Ultimately, however, he became more accepting of his own voice qualities. He thought less about how he should sound to others. Acceptance of our individual voice qualities are important to projecting personal confidence. 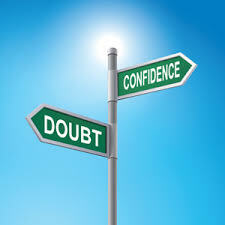 Vocal confidence is a key factor for success in all of our communication endeavors.